Another adaptation from a well-known author, A.E.W. 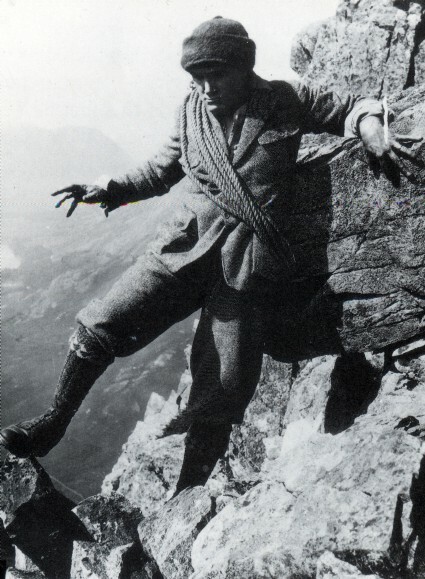 Mason’s A Romance of Wastdale (directed by Maurice Elvey), a grim tale of jealousy and revenge among the Lakeland mountains, was weakened by having the events turned into a dream; but it generated enough tension between the small group of characters to make certain scenes stick in the memory. The photography has a grey, gritty quality which admirably suits the circumstances, preserved in a fine still featuring Milton Rosmer. Would that he had told which scenes impressed him so, and would that the film survived. It would be good to know more about its production. Jack Cox was the man responsible for the gritty cinematography. Wastdale (or Wasdale) is the area between Scafell Pike and Wast Water lake, by the way. And then there’s Stan Laurel. OK, so the birthplace of Stanley Jefferson, Ulverston, is south of the Lake District, but not by much, and Ulverston is now home to the renowned Laurel & Hardy Museum. In the heart of the Lake District, in the town of Keswick, there is the cheerfully named The Cars of the Stars, a museum dedicated to famous vehicles from film and television. If you fell the urge to get up close to Chitty Chitty Bang Bang or Herbie, this is the place to go, and the exhibits include a Laurel and Hardy Model T and the sort-of-silent Mr Bean’s Mini. 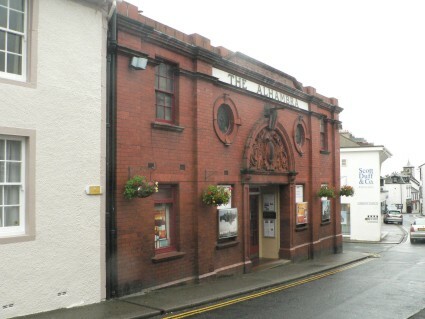 Keswick is a small town (about 5,000 population), but it does boast a cinema, and one that has been in operation since 1913. The Lonsdale Alhambra, in St John’s Street, is a delight. It opened in 1913 and from its Edwardian facade it doesn’t look like it has changed much since then. The cinema provides a handy leaflet on its history, from which we learn that the Keswick Alhambra Theatre Co. Limited as registered with £2,000 capital on 27 May 1913. It was able to seat 595 people and showed one programme a day,with two changes of programme per week. Prices ranged from 4d to 1/3d. It had music, dancing and cinematograph licences, and variety acts performed alongside the films. By 1916 it had a local rival, the gloriously named Queen of the Lakes Pavilion, around the corner in Station Street. In the 1920s it changed its name from the Alhambra Picture Theatre to simply the Alhambra, and converted for sound. It continued, taking over its rival the Pavilion in the 1940s, and enjoyed something of a boom with the arrival of holidaymakers in the 1950s discovering the Lake District for the first time. But hard times came, as they did across the cinema industry, and by the 1980s the Pavilion had closed and the Alhambra was shut during winter months. But it has survived, and hearteningly in 2006 it was leased to R.J. Towers & partners of Gretna, a business formed by former silent film pianist Towers. Today the cinema seats 270, has Dolby stereo sound, and has an ambience that adroitly combines its past with the present. 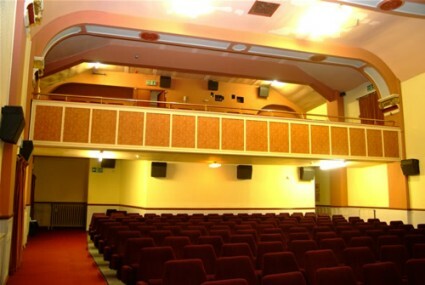 It has one or two screenings per day, and hosts the Keswick Film Club with its imaginative programme of world cinema titles. I saw District 9 (a proficient B-movie) in thoroughly comfortable circumstances and warmly recommend the place (though they should let the film credits roll through to the end, please). It also serves as an introduction for what is going to be cinema month here at the Bioscope. Alongside the usual reports and idle speculations, throughout October we will have a number of posts focussing on cinemas and the silent era, including publications, web resources, exhibitions and projects. Take your seats, and keep watching the screen.